Originally from Bonn, Germany, Hans Thomalla is a professor of composition and music technology at Northwestern University, where he is also director of the Institute for New Music. 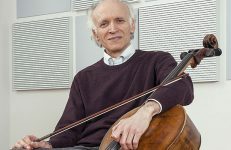 As a featured composer on Northwestern University Cello Ensemble’s debut album, Shadow, Echo, Memory (to be released by Sono Luminus on July 29), Dr. Thomalla recently took the time to answer some questions for our interview series. 1. 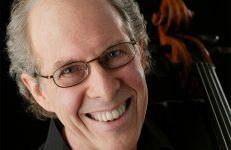 As a composer, you maintain a strong presence in both the U.S. as well as Germany. What are some advantages that come with this? What are some similarities or differences between the new music world in each location? That is a big question – it would take an entire essay to answer it. I think in general in a globalized world the music scenes have become quite similar. 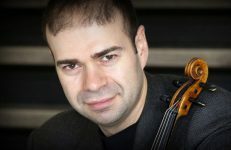 Training of classical musicians is comparable, and the young composers are interested in similar processes. I very much appreciate outstanding support for music programs in higher education in the USA. Having the excellent conditions of a first class music school at Northwestern inside of a leading research university is a fantastic environment for creative and intellectual growth, and I often feel I learn more from my graduate students than they learn from me. I miss the unique landscape of increasingly progressive opera companies that one can find in Germany here in Chicago sometimes, but I feel it is just a question of time, until the great developments that happened in contemporary theater in the US on one side, and the movement that fueled new music here on the other side will come together to start contemporary opera programs that are truly innovative. 2. Flüchtig (featured on the Shadow, Echo, Memory album) is the intermezzo movement from your opera, Fremd, about Medea, Jason, and the Argonauts. What is the background of the opera, and what is Flüchtig’s place within it? The opera is the story of an encounter and the drama that follows: Jason, the leader of the Argonauts meets Medea, princess and sorceress in Kolchis. Both stand for different worlds, different ways of thinking, and also different concepts of music and sound. Medea’s soundworld and initial vocal style is that of raw, original, incomprehensible sound – noises, microtones, wordless utterances that defy any categorization. Jason stands for the Greek’s rationalization of sound: into systems, harmonic or melodic order, where everything is structured and conceptualized. Flüchtig is the orchestral intermezzo between the second and the third scene of the opera. It speaks of a strange aspect of the story: the only time where Medea and Jason were truly together is during the years of flight, of being “on the run”. The piece expresses this phenomenon. It is music that is permanently adrift. Constant glissandos in the strings characterize musical structure, where harmony (as points of stability, order, orientation) is passed through momentarily rather than being a organizational pillar. Flüchtig – German for “fleetingly” is therefore a piece of – to express it in a contradiction – of permanent impermanence, and it embraces fleetingness as a happy state of being, as something inherently beautiful. 3. The German word fremd can be translated as “foreign”, “alien”, or “strange”. In the liner notes for your opera, you talk about “otherization”, especially with regard to the character Medea. 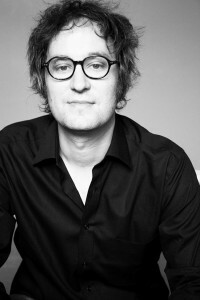 Flüchtig certainly creates a sense of estrangement. What initially brought you to the notion of alienation as a central theme? All my music is dealing with the experience of sound as something essentially other. But it also explores seemingly familiar music vocabulary as material for processes of defamiliarization, for estrangement. The most banal chord progression, melodic scale, or in the case of the opera, Belcanto-figure in the voices can be dissected into its sonic elements and reveal something essentially strange, alien, other, hidden beneath all the clichés we associate with certain musical figures. So my initial interest came from music. But through the story of Medea and the Argonauts I saw the bigger picture around this – it is one of the first narratives of colonialization, of the attempt to rationalize what is incomprehensible, to control other cultures, other ways of thinking other sounds. Most interesting, though, are the moments of self-loss, of existential disorientation the Argonauts experience through the encounter with Medea. ”I have become a stranger to myself,” says Jason. Flüchtig realizes this existential drift of identity, and the fact that it can be a liberation, not just a loss. 4. How did you create the unique sound world, this sense of estrangement, in Flüchtig? 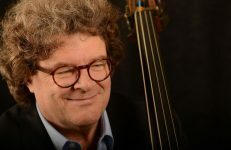 As I mentioned, the music of Flüchtig is defined by constant drift: foremost constant glissandos, drifting pitches, which work so beautifully on string instruments. Furthermore, drift from white noise (bowing on dampened strings or on the wood of the bridge) to full tone, or from normal notes to natural harmonics. And the network of these natural harmonics are like buoys in the ocean of floating glissandos: they give orientation, context for brief harmony, while they are almost found objects – notes that are natural occurrences on the instruments’ strings. 5. What are some upcoming projects you are working on? Is there anything in the near future that will feature the cello? Right now I am working on a piano concerto for Nic Hodges and the Bavarian Radio Symphony Orchestra – a “magnification” of my piano piece Ballade.Rauschen. And there is another opera project on the horizon: a “song opera”, much closer to musical, but with the means of new music. 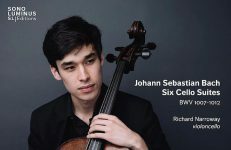 There are no concrete plans for a new piece prominently featuring cello, but for a long time I have had ideas for a cello concerto for the wonderful cellist and close friend of mine Lucas Fels. Maybe at some point there will be a chance to realize it. The Northwestern University Cello Ensemble’s upcoming CD Shadow, Echo, Memory will be released by Sono Luminus on July 29. Please enjoy this sneak peek below, and be sure to become a fan on Facebook and follow them on Twitter.